I was married in the spring. Spring weddings are those planned between March 20th (the Vernal Equinox) and June 21st (the Summer Solstice). All of these things can help you choose a shade of color for your wedding. When planning my spring wedding, I wanted the bridesmaids’ dresses to reflect the season. Therefore, I choose spring wedding colors of mint green and pastel pink. Spring weddings call for soft shades of color that give a sense of the season. Gentle hues of almost any color will work, as spring is alive with color. More great ideas for spring wedding colors. Your wedding theme will be most evident in the way you decorate the tables, as well as your invitations, wedding colors, and flowers. 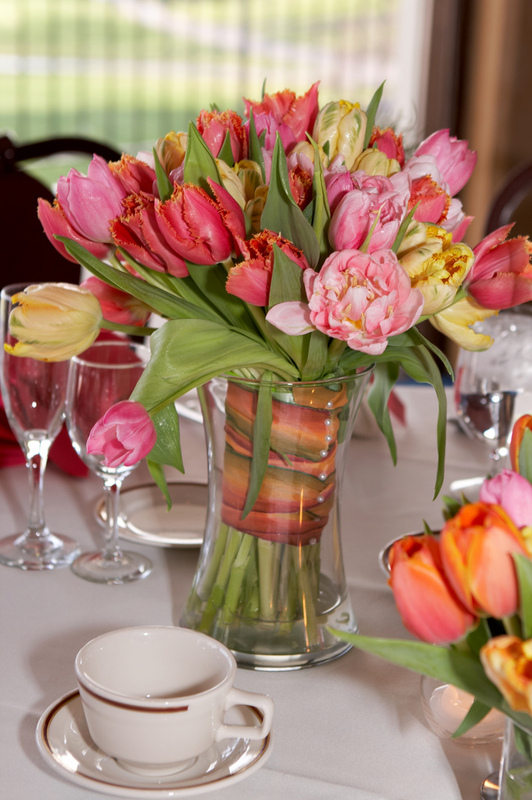 Your choice of spring flowers can bring your wedding alive with color and fragrance. This makes it a little more enchanted and romantic. I chose spring wedding invitations that depicted flying bluebirds holding a sprig of forget-me-knots, because birds and flowers are classic symbols of spring. I felt that the bluebirds and forget-me-knots brought life and color to the wedding invitations. Forget-me-knots are also a symbol of eternal love. That fit for me. 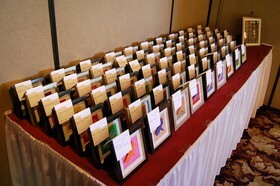 It’s a great idea to try to coordinate your wedding invitations with your wedding colors, as much as possible. So, if your bridesmaids will be dressed in yellow, you might want to consider wedding invitations with a yellow bird on them like the goldfinch — which symbolizes good luck and wealth, as well as spring. I chose glass bluebirds as my wedding favors, but there are dozens of fun spring wedding favors to choose from. Flowers for a spring wedding are definitely a matter of personal preference. 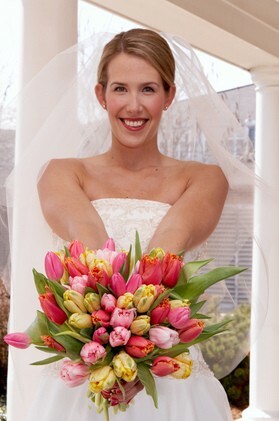 Many spring brides go with daisies, while others choose traditional daffodils or tulips. Then again, you may just love a certain spring flower, such as lilacs or hyacinths. These flowers have a heavy fragrance and come in shades of blue, pink, mauve and white. They’re sure to bring plenty of color and fragrance to your special day. To go with my theme, I carried white roses and blue forget-me-nots with an embellishment of baby’s breath. They were perfect. More great tips for choosing spring wedding flowers. And don’t miss this list of in-season spring wedding flower arrangements. I was lucky to have my wedding cake made by my grandmother. It was 3-tiered, each tear being held above the other with white Grecian-style pillars. Blue forget-me-nots lined the sides of the cake and on the 4 corners of each tier was a little glass bluebird. The cake fit into my wedding theme perfectly. For your spring wedding cake… if you’re carrying white flowers, order a cake with colors that tie in with your bridesmaids’ dresses. This will make the flowers on the cake really stand out. For example, if the icing is white, then use colored flowers. If you want white flowers, ask that the icing of the cake be colored. I prefer a white cake with colored flowers, but that is just my preference. Whatever you like is fine. It’s your special day. Rather than icing, you can have a tiered angel cake and cover it in fresh fruit preserves. I was at a wedding last spring and the cake was angel cake covered in fresh strawberry preserves. Another option is to decorate the cake with icing and decorate it with fresh strawberries. I’ve seen this done and the cake looked very elegant. You could also buy ribbon that fits in your color theme and have the bakery run the ribbon along the sides of the cake. If you go with a square cake, you can ask that a bow be placed on each corner. 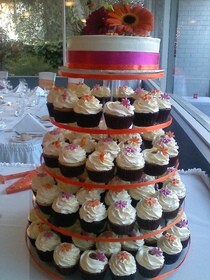 Ribbons and bows on a square-tiered cake look great. I love writing about almost anything, especially my life experiences. Other favorite things to write are how-tos, household hints, nature and fishing articles, among others.